The life cycle of just about every insect begins with the egg stage and ends in adulthood. There are four life stages in an insect’s life cycle. If it completes all four stages of a life cycle the individual species is said to complete a metamorphosis stage. However, not every species undergoes a complete metamorphosis. There are some that has only three life stages. Praying mantis is one of them. Furthermore, the mantis doesn’t only undergo an incomplete metamorphosis—the young and adult mantises look almost entirely the same. 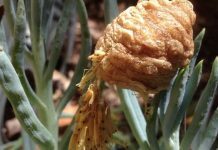 The life cycle of a mantis starts with an egg. The female produces 100 to as many as 400 eggs only few days before winter. She will deposit all eggs in a frothy liquid case one that protects the eggs not only from predators but also from extreme weather. 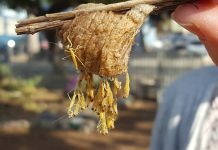 The eggs are laid on a stem and the entire egg structure is called ootheca. The eggs overwinter while the female dies immediately after that. As the winter is over and the spring arrives, the young mantis will crawl from inside the tiny valve-like structures to see the outside world perhaps for the first time. 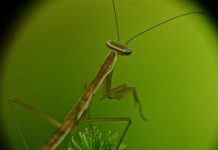 The young mantis will be known as nymphs. These nymphs are extremely hungry that sometimes they feast on one another. The baby mantis will soon find their way out to look for small insects such as fruit flies. 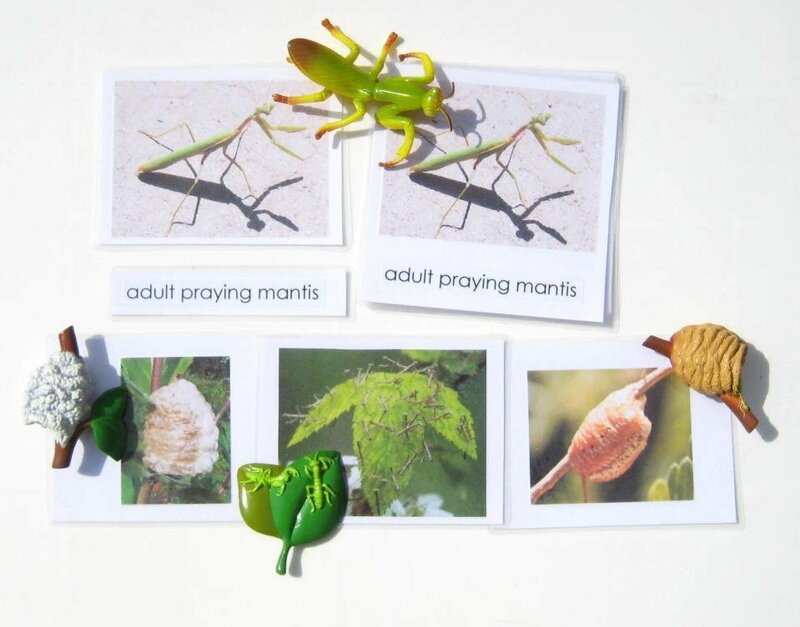 The nymph stage of a praying mantis is highly susceptible to potential predators. That is why most nymphs just couldn’t reach adulthood. 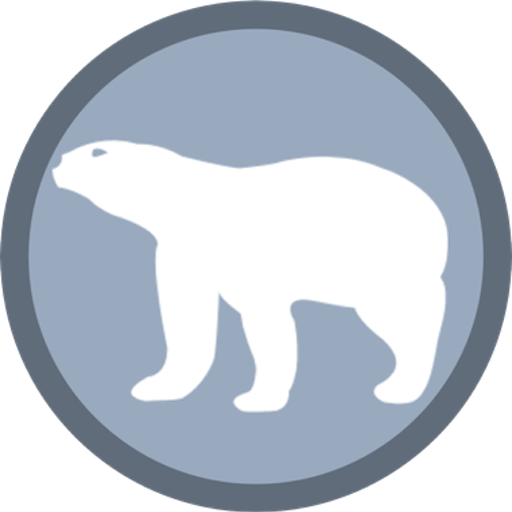 They will shed their exoskeletons five to six times before attaining adulthood. 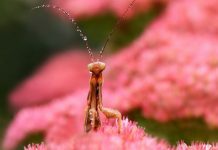 However young the mantis may be, it will look exactly like an adult mantis except for the fact that nymphs do not have a strong defense. 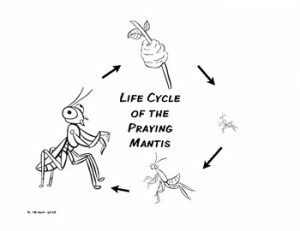 The adulthood is the last stage for a mantis. On reaching adulthood mantises do not only make up their living pretty dominantly they become the predators of most other species. Adult mantis likely spends much of its summer time hunting and looking for arthropods. Now they are strong enough to take down prey as large as a bird. Hummingbirds and European robins are the most favorite mantis’ prey. Unlike nymphs, adult mantises do not have to live a miserable life anymore. The adult mantis molts numerous times before attaining its full size. 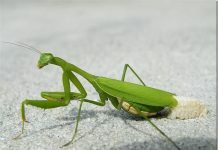 They starve hours before they molt and mantises become highly vulnerable to predators at the time of molting because the molting continues for few hours. 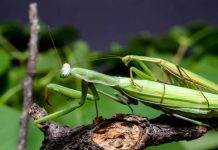 But when the molting completes successfully the mantis will resume its hunting activities and turn out to be stronger and more active than before.